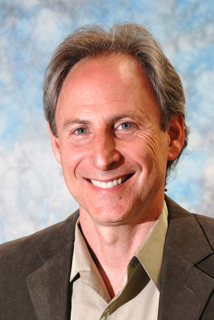 Dr. Marc Halpern, the founder and President of the California College of Ayurveda joins eHealth Radio. Dr. Halpern is also the author of the popular book, Healing Your Life; Lessons on the Path of Ayurveda. The California College of Ayurveda was the first school to offer professional Ayurvedic education in the United States. Some people even say that you are responsible for starting the profession in the West. What is that first inspired you? There are two practitioner certifications that students at the college can receive. One is as an Ayurvedic Health Practitioner and the other is as a Clinical Ayurvedic Specialist. Can you tell us about them and what makes them different? Today students have several choices for their Ayurvedic education, what is that makes education at the California College of Ayurveda unique? I know that many students who graduate go into private practice. What other opportunities are there for graduates of the college? As a leader in the field of Ayurvedic Medicine, where do you see the profession going over the next decade? What advice would you give to prospective students considering a career in Ayurveda? Dr. Marc Halpern is the founder and President of the California College of Ayurveda and the author of the popular book, Healing Your Life; Lessons on the Path of Ayurveda. A leader in the profession, he is the co-founder of the National Ayurvedic Medical Association (USA) and the California Association of Ayurvedic Medicine. He also sits on the advisory boards of Light on Ayurveda Journal in the United States and the Journal of Research and Education in Indian Medicine in India. Dr. Halpern’s contributions to the field have earned him the highest level of awards in both countries. He has published hundreds of articles in popular journals and magazines of Ayurveda and Yoga and is a regular speaker at Ayurvedic and Yoga conferences. A Doctor of Chiropractic, a Clinical Ayurvedic Specialist, a certified Yoga Teacher in the Sivananda tradition, a Specialist in Holistic Medicine, an author and teacher, Dr. Marc Halpern has dedicated his life to removing the causes of suffering and disease.